Hello to everyone from the staff at The Saltwater Angler. 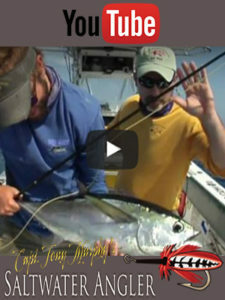 Here is your Key West fishing report for June. With our mild winters, we usually don't see too many cold days. This past week and this week has been the exception. The winds will be mild, but temperatures have dropped into the low 60's. This will make for some extremely tough, if any fishing in the back country. Many of the flats species will run deeper for protection from the cold. The GOOD news is, temps will jump back up into the mid to high 70,s next week. The waters temps will warm up a little and Bonefish and Permit should move back up on the flats. Guides are still catching juvenile Tarpon as well. Back in the basins, Sea trout, Jacks and Cudas are plentiful along with large Sharks. Larger Mangrove snapper are nice catch too and can be found alongside deeper ledge drops near channels or mangroves. 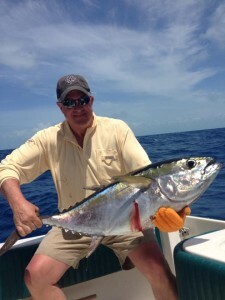 Offshore remains steady with mix bag of Bonita and Blackfin Tuna. There has been a lot of bait offshore which has brought a lot of the deeper species in tighter to the reef line allowing the yellow tail catch to stay busy. This time of the year the reef can be very productive if the weather allows for a trip out. With the windy weather coming this week-end, make sure to get out earlier before it hits us. As always, wishing you tight lines and fish boat side!